Brussels, 18 March 2019 – EBIC announced today that Hervé Guider has been appointed chairman of the European Banking Industry Committee (EBIC). Mr. Guider, Managing Director of the European Association of Co-operative Banks, succeeds Mr De Noose, Managing Director of the European Savings and Retail Banking Group, who completed his one-year term for the committee. 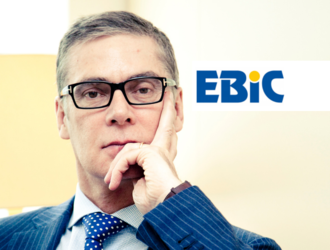 Mr. De Noose has been appointed as EBIC vice-chair, replacing EBIC Vice-Chairman Wim Mijs, chief executive of the European Banking Federation (EBF), who also served a one-year term. The overall secretariat of EBIC, which rotates along with the chairmanship on an annual basis, will be in the hands of the EBF as of today. The annual changeover comes at a time when the committee is focusing on initiatives in the areas of prudential regulation, banking supervision, compliance related to Anti-Money Laundering (AML) and Counter Terrorism Financing (CFT), as well as a number of topics in the retail banking area such as consumer and mortgage credit. The priorities for 2019 will be the follow up to the Risk Reduction Measures Package, the implementation of the latest set of Basel reforms, the Consumer Credit Directive evaluation, the Mortgage Credit Review, the follow up to the Consumer Financial Services Action Plan. EBIC will also continue to monitor final discussion to strengthen EBA AML competence and the implementation of the Fourth and Fifth AML Directive. Founded in 2004, EBIC is committed to providing the common voice of the EU banking sector at large regarding EU financial legislation initiatives and banking practices and to maintaining an open and fruitful dialogue with the EU institutions and international bodies. An advisory committee regularly called upon to provide expertise in the field of financial services, EBIC provides a forum for European banking industry representatives to: exchange views and information on matters of common interest; ensure a representative and coordinated industry view on issues of common interest throughout the process of drafting, adopting, implementing and enforcing EU-financial legislation; and provide advice to the European institutions on initiatives, both at legislative and implementing levels. Learn more about EBIC at www.ebic.org. For further information on EBIC, please contact the EBIC Secretariat (secretariat@ebic.org).